Do you ever have one of those days when you clearly feel like the devil has launched an all-out attack against you? Whether it be full-blown warfare, or just a little poking, he never ceases to try to trip us up. He is always “seeking whom he may devour” (1 Peter 5:8). 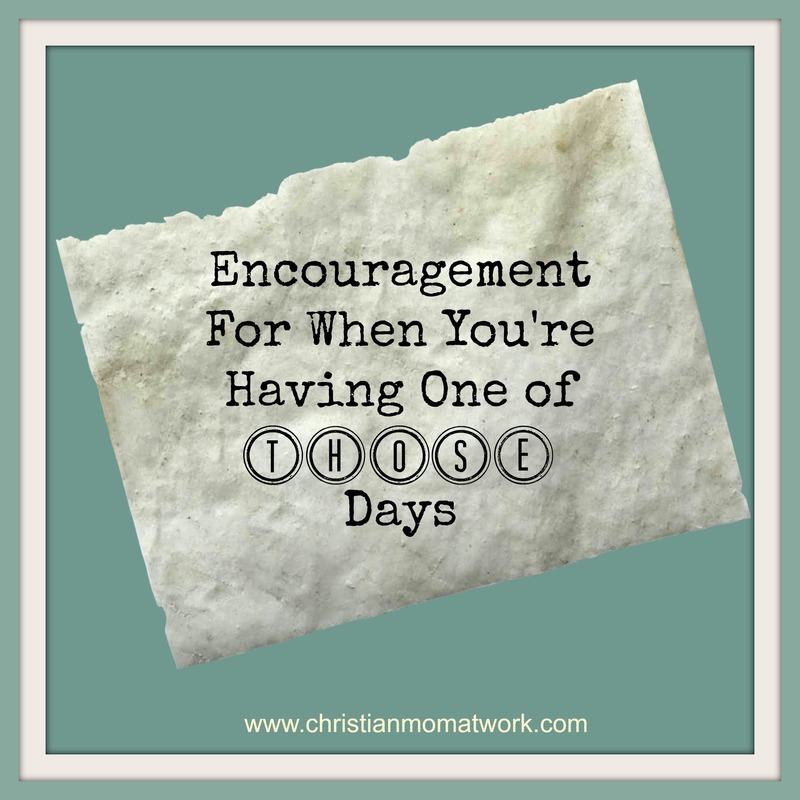 I recently had “one of those days”, and I really felt like the devil was just poking me and poking me, trying to get me to say something wrong, or to generally react badly. It was minor stuff, really. A trip to the license branch that was especially frustrating (poke). A Facebook “friend” who publicly attacked my conservative views, again (poke). An impatient driver who did not appreciate my decision to wait for an appropriate moment to pull out into traffic, and who sat behind me revving his engine and squealing his tires until I was finally able to safely pull out (poke). These are just a few of the things that added up to “one of THOSE days”. Poke. Poke. Poke. The devil would have loved it if I had given in to my sinful human nature and yelled at the clerk at the license branch because the person on the phone gave me wrong information. He would have been elated if I had ranted on Facebook and told my “friend” off. And he certainly would have been tickled pink if I had gestured inappropriately at the car behind me. Thankfully,I didn’t do any of those things. Instead, I took a deep breath, and recognized it for what I believe it was, Satan trying to push me over the edge. How often I have wished that God would ‘open my eyes’ so that I could see the army of angels surrounding me and my loved ones in times of need! That day’s trials may have seemed trivial, but losing my temper and harming my Christian witness to those who were around me would be no small thing. God is just as faithful in the small things as He is in the big things. Just when I needed some encouragement, He reminded me of the passage about Elisha.